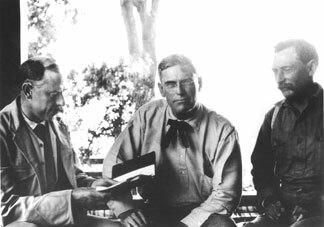 March 22, 1905: Mulholland Recommends the Owens Valley as Only Viable Source. “In March 1905, Fred Eaton went to the Owens Valley to buy land options and water rights. The major acquisition of this trip was the Long Valley Reservoir site. Eaton paid $450,000 for a two month option on ranch lands and 4,000 head of cattle. All in all, he acquired the rights to more than 50 miles of riparian land, basically all parcels of any importance not controlled by the Reclamation Service. On March 22nd, Mulholland reported to the Board of Water Commissioners. He had surveyed all the water sources available in Southern California and he recommended the Owens River as the only viable source. Immediately following Mulholland’s presentation, Fred Eaton [entrepreneur and form mayor of Los Angeles] made his proposal that the City acquire from him whatever water rights and options he had been able to secure to further the project. While in the valley, Eaton had conducted some business for Lippincott [J.B. Lippincott was the supervising engineer for California in the newly created U.S. Reclamation Service] as well. The bulk of Lippincott’s staff had been diverted to the lower Colorado River. The floodwaters of the Colorado River had broken through temporary irrigation barriers and had carved a new channel southeast to the Salton Sink. Lippincott knew Eaton was headed to the Owens Valley. Several power applications were pending for projects on the Owens River. Lippincott required information about who the owners were, the use to which the power would be put, and the potential of these projects to interfere with the Reclamation Service’s activities. Lippincott asked Eaton to do this work. This trip became the source of conflict between the Owens Valley and the City of Los Angeles. Eaton visited the Independence Land Office to do Lippincott’s research. There he met Stafford Wallace Austin, the Land Register. The impression Eaton left was that he was there to do work for the Reclamation Service, and his subsequent land acquisition activities were interpreted in that light. Whether deliberate or not, this impression caused anger among residents of the area, most notably Austin, when they discovered that Eaton was not acting on behalf of the Reclamation Service. To the people of the Owens Valley, selling water rights and land for a desired federal project was far different from selling land to Eaton and water rights to the City of Los Angeles. Austin embodied the people’s feelings of betrayal and anger. They were afraid that the Reclamation Service intended to abandon them, serving the interests of the City of Los Angeles instead. Austin wrote to the Commissioner of the U.S. General Land Office and to President Theodore Roosevelt to protest. 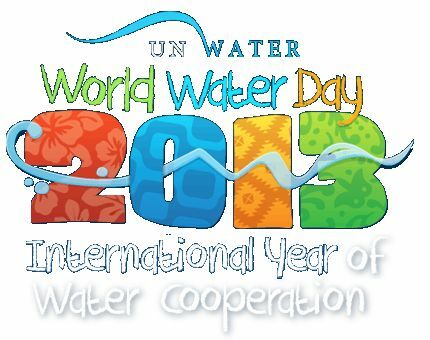 March 22, 1993: Since 1993, World Water Day has been declared by the United Nations General Assembly. World Water Day is observed on March 22 every year. The purpose of the day is to recognize the importance of earth’s most precious natural resource. The celebration was proposed 20 years ago at the United Nations Conference on Environment and Development. March 22, 1733: Joseph Priestly invented carbonated water (seltzer). In 1767, the first drinkable manmade glass of carbonated water (soda water) was invented by Joseph Priestley. Joseph Priestley published a paper called Directions for Impregnating Water with Fixed Air (1772), which explained how to make soda water. 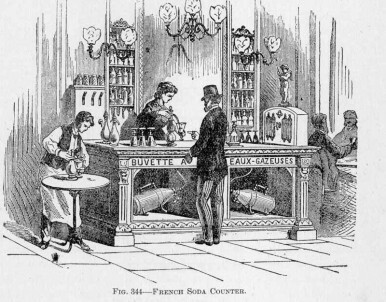 However, Priestley did not exploit the business potential of any soda water products. This entry was posted in Year 6 TDIWH and tagged carbonated water, drinking water, Joseph Priestly, Owens Valley, public health, soda water, water, water history, water supply, William Mulholland, World Water Day on March 22, 2018 by safedrinkingwaterdotcom.